The Fat Possum label, (The Walkmen, Wavves, Band Of Horses, Dax Riggs), will be reissuing the T. Rex classic, The Slider, along with other T. Rex offerings. The album will be out October 26th. Oxford, MS label Fat Possum has announced a series of reissues of classic T. Rex albums, beginning with The Slider, which will be available on CD and digital formats on Oct. 26 and newly remastered vinyl on Nov. 23. 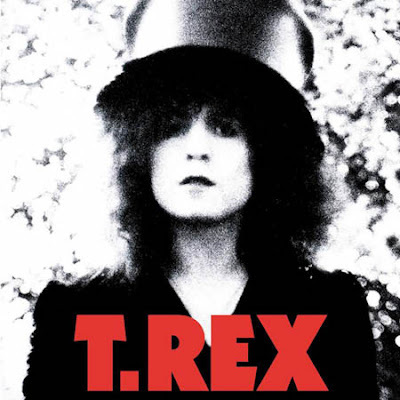 The Slider, along with most T. Rex titles, has been out of print on all formats in the US since 2003. The Slider is the definitive soundtrack to Bolanmania that swept most corners of the globe during 1972. It was boom-time for manufacturers of lipstick-sized phials of glitter. The music press had a ﬁeld day, too, seizing the opportunity to debate the rabid tensions between playful pop and sensible rock. But to the many thousands who had succumbed to T. Rextasy, the ﬁrst great teenage phenomenon of the 1970s, it was - in the words of Morrissey - "many people's ﬁrst love affair."